Clive James is an internationally acclaimed raconteur, broadcaster and author whose celebrity has long been associated with his BBC productions and phenomenal essays. In recent years however, his work as a poet has become impossible to ignore. The Book of My Enemy, Opal Sunset and most recently his translation of Dante and collection Sentenced to Life cemented his reputation as a poet of exceptional talent. This April Picador publishes James’ Collected Poems and we’ll be gathering a poets and authors to read and pay tribute to one of the most important and influential writers of our time. Joining us are Don Paterson, Tracey Herd, Claudia Daventry and Jon Durie! 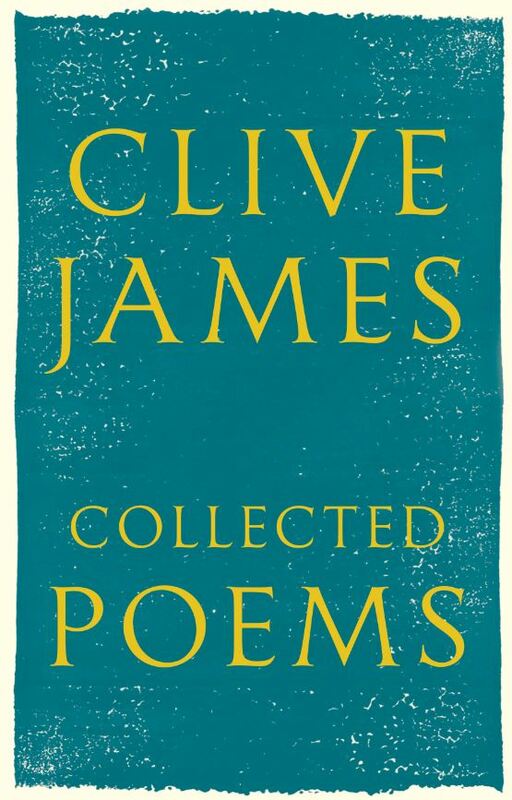 Collected Poems offers James’ own rich selection from over fifty years’ work in verse: from his early satires to later heart-stopping valedictory poems, he proves himself to be as well suited to the intense demands of the tight lyric as he is to the longer mock-epic. The collection displays James’s fluency and apparently effortless style, his technical skill and thematic scope, his lightly worn erudition and his emotional power; it will undoubtedly confirm his place among the most versatile and accomplished of contemporary writers. He is a unique figure, a straddler of genres and a bridger of the gaps between high and low culture. James writes with exquisite perception and surgical precision; he is a poet of powerful argument and emotional force.